The cybercrime cell on October 14 arrested two Nigerians for allegedly duping a Chinchwad-based businessman of Rs 1.04 crore by luring him into a herbal oil trade deal with a fictitious company in UK. The duo had contacted the businessman over Facebook in June. The friend request sent the businessman's Facebook account appeared to have been from a Nigerian woman as it carried her photo. In the course of subsequent chats, the 'woman' identified herself as a representative of a UK-based pharmaceutical company, which dealt in herbal oil. She offered the businessman to supply herbal oil to the company for a lucrative profit and fleeced him. Deputy commissioner of police (cyber & economics) Sudhir Hiremath identified the arrested persons as Amara Obiasogu alias Frank Age alias Robert Spiff (30) and Ekene Unachukwu Age (30). Both lived in a rented accommodation located at Panvel. Hiremath said the two used lay a 'honeytrap' by sending friend requests on social networking sites to get acquainted with random people. The 'woman' would chat with the person and claim that she worked in London and has rights to sell costly herbal oil. 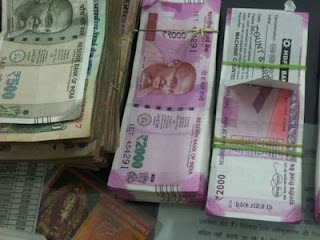 Police suspect that an Indian woman is involved in the racket. The suspects have also duped many others in Delhi, Rajasthan, Gujarat, Tamil Nadu and Kerala, Hiremath said. A team headed by assistant commissioner of police Milind Patil, inspector Radhika Phadke and assistant inspector Sagar Panmand arrested the suspects. Police said several other Nigerians are involved in the racket and a search for the suspects is on. The businessman had lodged a complaint with the Chinchwad police in September stating that after he accepted the 'woman's' friend request and started chatting with her, she informed that she is employed in a pharmaceutical company based in the United Kingdom. She claimed that the company manufactured pharmaceutical products from very costly herbal oil. She said the oil is available in the market for $5,000 per litre, but the same could be bought in India for $2,000 per litre. She promised to route the company's purchase from him and asked for a commission of 30% from his profit. The businessman agreed and the woman claimed that she had processed an order for 150 litres of oil in his favour. The woman then passed on few cellphone numbers saying that they are local vendors of the oil. The businessman then contacted the local agents who promised to sell 120 litres of oil and asked him to deposit a sum of Rs1.04 crore in a bank account, which he did in August. After receiving the payments, the local agents started forcing him to buy more oil. However, he did not receive any 'commission' against the previous order. He also did not receive any more orders and grew suspicious. He then approached police.